Hello! My name is Andrew Morrissette and I am a senior at Michigan State University. 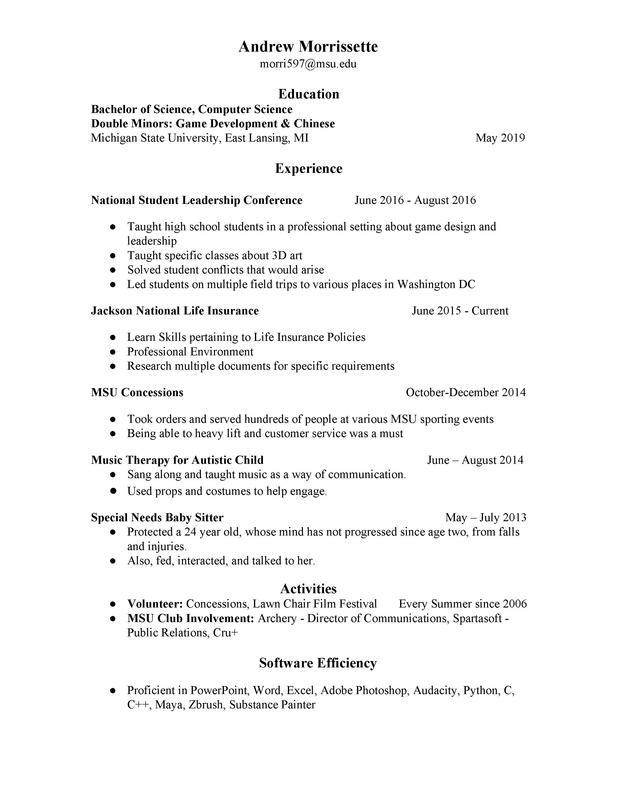 I am majoring in Computer Science with a double minor in Game Design and Chinese. I am the Public Relations officer for MSU's Game Development Club, Spartasoft, as well as the Director of Communications for the MSU Archery Team. I am focusing on 3D prop modeling using mainly Maya, Zbrush, and Substance Painter to make 3D art assets. I am an avid SteamPunk fan, due to the mix of the Victorian and futuristic genres and I love to incorporate these elements in my artwork. Along with 3D Artwork I also paint, draw with charcoal, and crochet. Also I love pugs.